Click 'Donate' for one time donations. Click 'Subscribe' for recurring donations. We cannot accept donations from residents of New York, New Jersey, Pennsylvania and Florida. 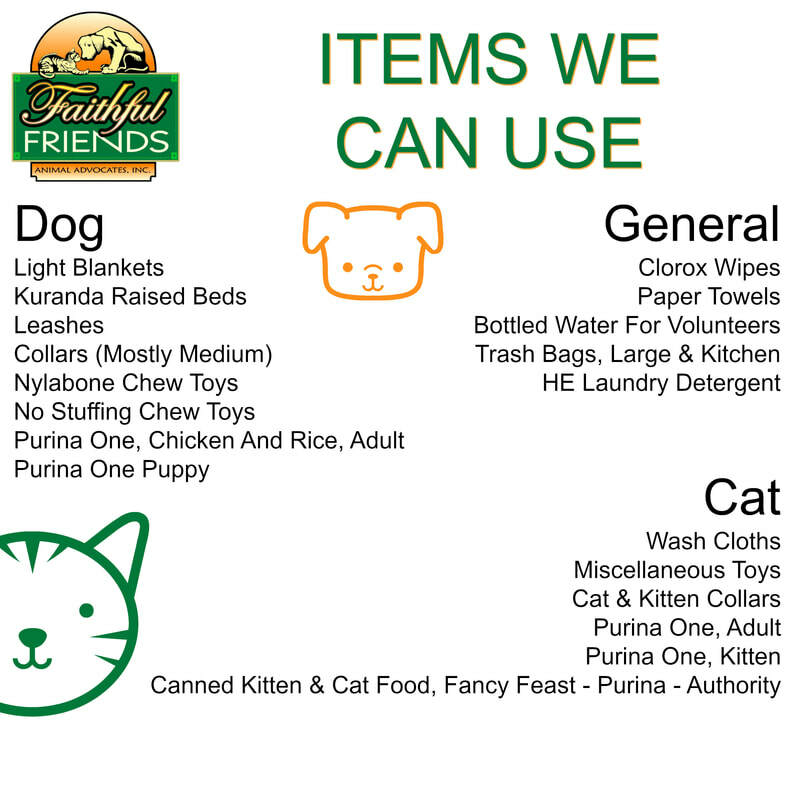 Proceeds from the thrift store are used to support the Faithful Friends Animal Advocates Adoption Center.